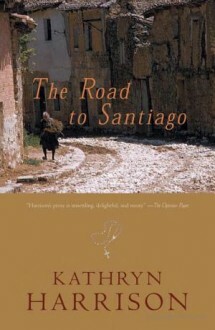 Displaying her “real talent for conjuring far-flung times and places,” Kathryn Harrison tells the mesmerizing story of her 200-mile pilgrimage to Santiago de Compostela in Spain. In the spring of 1999, Kathryn Harrison set out to walk the centuries-old pilgrim route to Santiago de Compostela. “Not a vacation, ” she calls it, “but a time out of time.” With a heavy pack, no hotel reservations, and little Spanish, she wanted an experience that would be both physically and psychically demanding. No pain, no gain, she thought, and she had some important things to contemplate. But the pilgrim road was spattered with violets and punctuated by medieval churches and alpine views, and, despite the exhaustion, aching knees, and brutal sun, she was unexpectedly flooded with joy and gratitude for life’s gifts. “Why do I like this road?” she writes. “Why do I love it? What can be the comfort of understanding my footprint as just one among the millions? … While I’m walking I feel myself alive, feel my small life burning brightly.” Throughout this deeply personal and revealing memoir of her journey, first made alone and later in the company of her daughter, Harrison blends striking images of the route and her fellow pilgrims with reflections on the redemptive power of pilgrimages, mortality, family, the nature of endurance, the past and future, the mystery of friendship. The Road to Santiago is an exquisitely written, courageous, and irresistible portrait of a personal pilgrimage in search of a broader understanding of life and self. Extreme sorrows call for extreme cures. Those who have read Kathryn Harrison’s other, earlier works will guess that perhaps much of the author’s real and artistic life may be devoted to exorcising demons. “The Road to Santiago,” therefore, is to be read as more than travel literature, or even an account of pilgrimage in the comparatively lighthearted Chaucerian sense. The author’s pilgrimage, along the ancient roads and paths from St.-Jean-Pied-de-Port in France across the top of Spain to the Cathedral of Santiago de Compostela is not a mere literary exercise. Again and again, through several actual journeys, Harrison douses her head with water; rinsing, washing, cleansing herself of ill fortune, bad luck, evil, mythic wolves of every kind. For her, this journey pits spiritual life against death. The first journey we see here (actually the last in chronological time) presents at first as breezy journalism: Kathryn Harrison and her beloved 12-year-old daughter, Sarah, fly into Paris, take the bus south and commence to walk west on ancient paths. Harrison fills us in on the need, in medieval times, for the Catholic Church to have erected the shrine to St. James, and why, since the 9th century, pilgrims have felt the need to walk this road. So here they are, brave mother, plucky daughter, in the year 2002, setting out — to travel not the entire 400 miles to Santiago but a healthy portion of it, together. Both are encumbered with extra baggage: the mom with a manuscript of a novel-in-progress in her backpack, the daughter laden with glossy magazines teaching her how to be a stylish grown-up. There is no word here about whether they trained for this project — or if, indeed, training is appropriate for what is supposed to be a penance for body and soul. One truth, after four days, is that Sarah runs out of physical and emotional steam. Harrison is torn. Has she brought her daughter on this “not-a-vacation” to build a relationship with her in the traditional, cheery way, or does she need to teach Sarah about suffering, about how people with the very best of intentions sometimes find themselves in a hell of their own making? During this first recorded pilgrimage — again, the most recent — when Sarah becomes disheartened, her mother decides to end the trip early, to quit. Now flash forward to 1999, two years after “The Kiss” appeared. “Having been ill and only recently recovered,” she writes, “my health seems newly valuable, precious if no longer precarious.” It seems reasonable to assume that she’s speaking here of both her body and her soul. Harrison is out to make the whole pilgrimage, to come to terms with her family and her past. She imagined, she says, that she would be something like King Lear out on the heath, storming at life’s tragic injustices. Instead, the journey unfolded one dogged step at a time. The last half of this book is concerned with Harrison’s effort to achieve both self-knowledge and a larger knowledge of how the world works. Harrison’s mother was unloving and withholding. (On occasion she made candy, which Kathryn chewed and then spit out.) Her father was her foul seducer. There it is. But after 100 miles or so of hard walking, footsore and weary beyond words, Harrison can only conclude that her grandparents, her parents and she all loved each other. And that her past is hers. She owns it. She walked and walked and hurt her knee and bought an elastic bandage. She denied herself the solace of a chocolate bar but came close to stealing holy oil used in Anointing of the Sick. She wept oceans of tears. She kept walking late at night. She was terrified of four-legged and two-legged wolves. (One old man tried to pick her up; another kept pace with her, even while masturbating.) She took very bad care of herself. She stayed in horrible inns and wonderful ones. She ate wretched food and perfect dinners served by loving hands. She sweated in the sun and almost drowned in the rain. She avoided company but called home every time she found a phone. It’s safe to say she was attempting a journey between two worlds, her nightmare past and her hopeful future — if she could just cleanse herself, pour enough water on her head, be, in fact, redeemed. It was not, and won’t be, easy. At the Santiago cathedral, finally, at a Mass on Palm Sunday, Harrison sat next to “a nun who is offended by my grubby and unfeminine attire, so much so that she cannot bring herself to look at me, not even when the congregants are directed by the priest to offer one another a sign of peace.” Maybe there will be no peace for Harrison. Only heroic (perhaps saintly) acceptance.